I don’t think I’ve shown these simple customs before. I did them late last year. 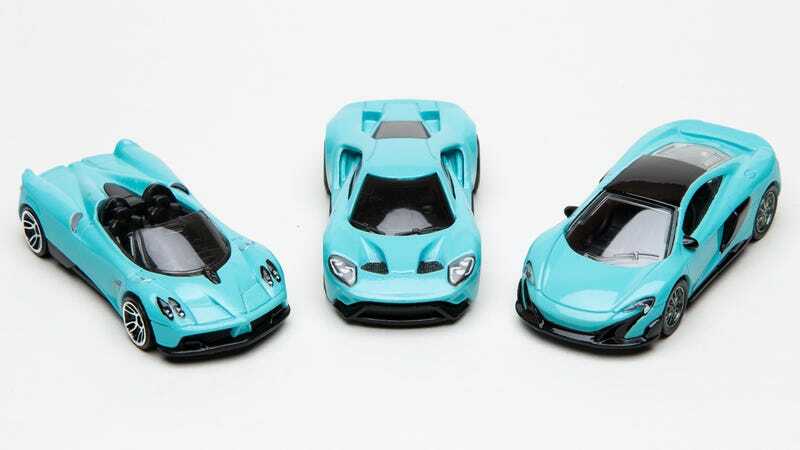 The GT and the Huayra Roadster could use some new shoes, and the McLaren is my favorite. The casting is from Majorette. The color is sort of polarizing. It’s pretty intense. Do you like it? The base isn’t attached on this one yet. Still loose, and sitting low in this image. I’m pretty satisfied with the headlight details. The wheels on this Huayra have got to go. And I just noticed the forgotten exhaust tips! The clear coat got a little thick on the hood. It’s not too noticeable with this color though, unless you get the light just right.